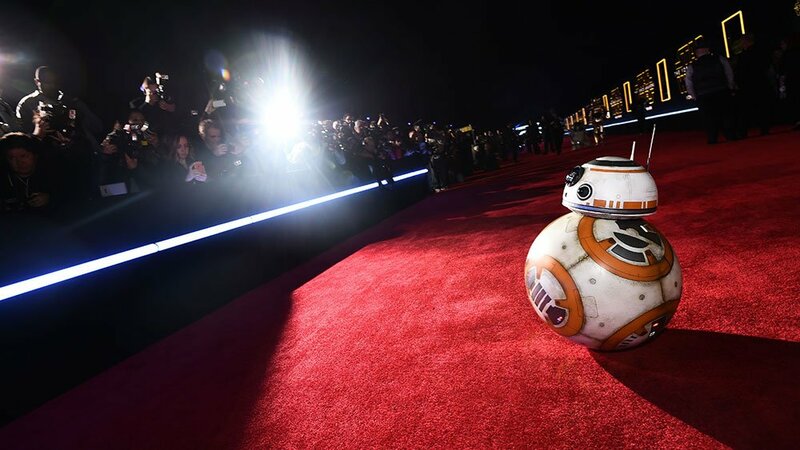 Am I going to spoil “Star Wars: The Force Awakens”? Yes. Yes I am. No kidding? And you’re telling me this is akin to informing me that the movie also took place in space a lot of the time. We know it followed the same beats. But look closer and you’ll see more differences than similarities. Sure, it starts in a dessert. Centers around the pursuit of data saved in a droid. And ends with a trench run and a planet killer being destroyed. But beyond those superficial details, which are entirely intentional, there’s a very different tale being told. Finn and Rey’s relationship is on a completely different level than anything we’ve seen in the other trilogies. 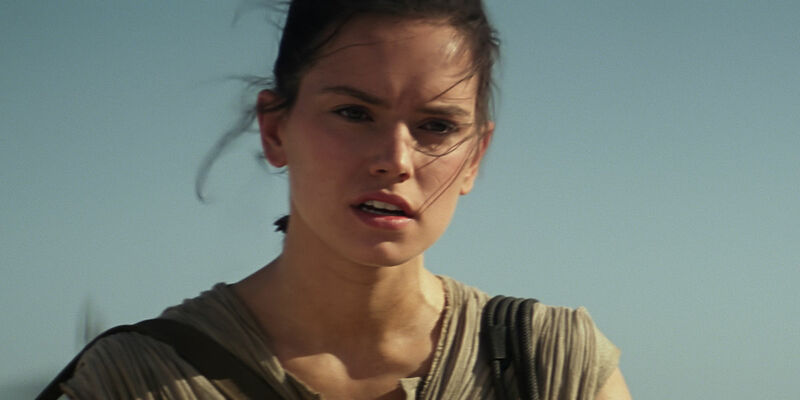 Finn clearly finds Rey attractive, and Rey is, well, Rey. She seems to have more important things on her mind. No one in the original trilogy was as technically proficient on-the-fly as Rey. Finn is a Luke-like character, except he’s not. He’s military. Trained from childhood to think like a soldier, only to turn on everything he’s ever known. Poe is roguish, sure. But he’s not a Han clone or homage, either. He’s a Resistance fighter willing to do whatever it takes to fulfill his mission. Even trust a stranger he’s never met if it means he’ll have the slightest chance at success. 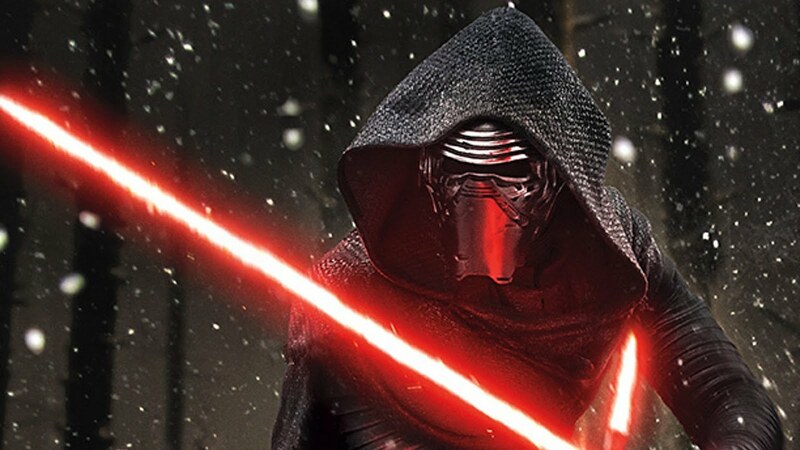 No, Episode VII is nothing like Episode IV, other than a few broad surface details. The substance is very, very different. Stop it! There’s no twist. Stop looking for a twist. Or a revelation. Or a surprise reveal. You’re not going to get one. Nothing you weren’t already expecting, anyway. The expectation that there’s always a lot more going on in a Star Wars movie than what’s actually go on in a Star Wars movie seems to stem from “The Empire Strikes Back”. 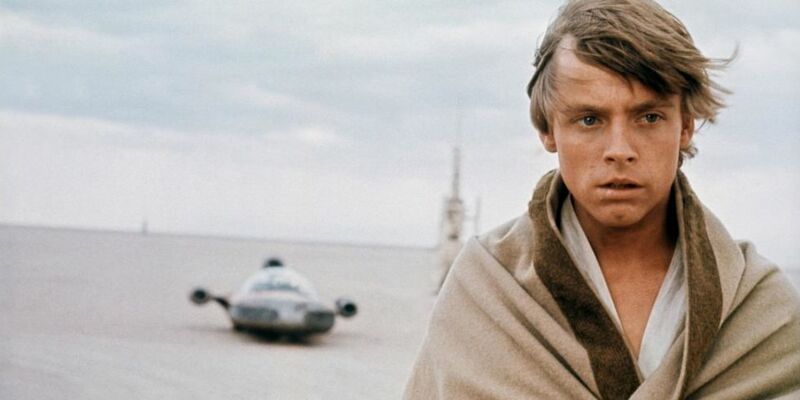 That moment as a kid, when Darth Vader reveals Luke’s dubious parentage, stands out as one of the most revelatory and shocking moments in movie history. Here’s the thing. It was revelatory because you were a kid and easily surprised. It’s a defining moment in Star Wars mythology. But the feeling that so much more was going on than you thought was really just your kid mind not being able to wrap around the idea that a good guy could be the offspring of someone so bad and so sinister. The idea that he wasn’t bad and sinister once, or that bad and sinister people could have children at all, just wasn’t something you ever considered. Fast forward to the prequel trilogy, and I remember all kinds of fan theories as to what was really going on in the Star Wars saga. I had one guy swear to me that Palpatine and Sidious were two different people. His reasoning? That one had bad teeth and that the other didn’t. (And I think he was going off of just the Clone Wars Genndy Tartakovsky series.) I tried to point out that since the 1970’s we’d known that the Emperor’s real name was Palpatine and that he served as a senator in the Old Republic. But for some reason, that didn’t seem to convince him. He was convinced that there was going to be some kind of “Empire” moment. A big, shocking reveal. I kept telling him that that’s just not the way Star Wars stories, movies in particular, are told. Granted, the next Star Wars director could go that route. But clearly that was the spirit Abrams was looking to capture. Kylo is Han and Leia’s son. Just accept that. It adds no value to the story to make it otherwise. Probably because you’re making too many suppositions before asking that question. 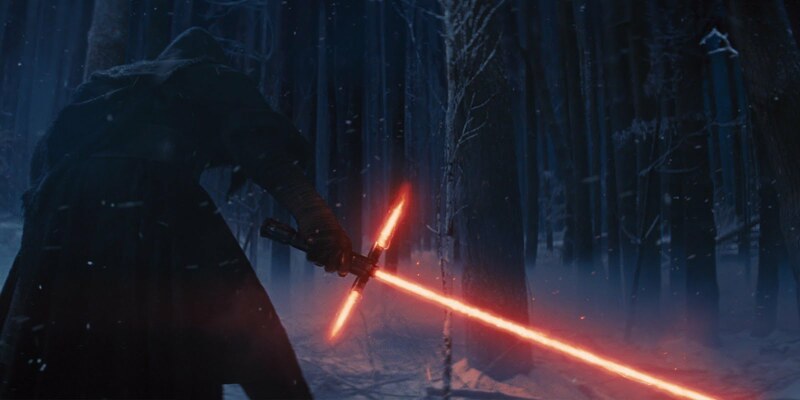 Let’s start out with just how much of a master swordsmen Kylo is. I’m not sure we really get any indication that he’s the greatest lightsaber-er that currently sabers a saber. Based on the appearance of his unstable lightsaber design alone, it should be apparent that he’s not a fully trained warrior. (He’s still lightsabermenting. Thanks, Seth.) He was apparently better than whatever Jedi Order Luke had put into place since Endor. But it looks like he had lots of help slaughtering that bunch. And it looks like Luke wasn’t nearby to prevent it. (Or he was engaged in a battle of his own with someone else.) Since Snoke ordered Kylo back to his location to complete his training, and clearly, Kylo had only just taken the first irreversible steps towards the Dark Side, he was inexperienced enough to qualify any swordsmanship skills. Conversely, consider Rey’s knowledge of the Force. She was very aware of what it was, even if she only recently received confirmation that the Jedi were not mythology. She knew the stories, and once she figured that out, she acted on what she knew. (Like you wouldn’t totally try a Jedi Mind Trick the minute you realized you were in the Star Wars Universe.) 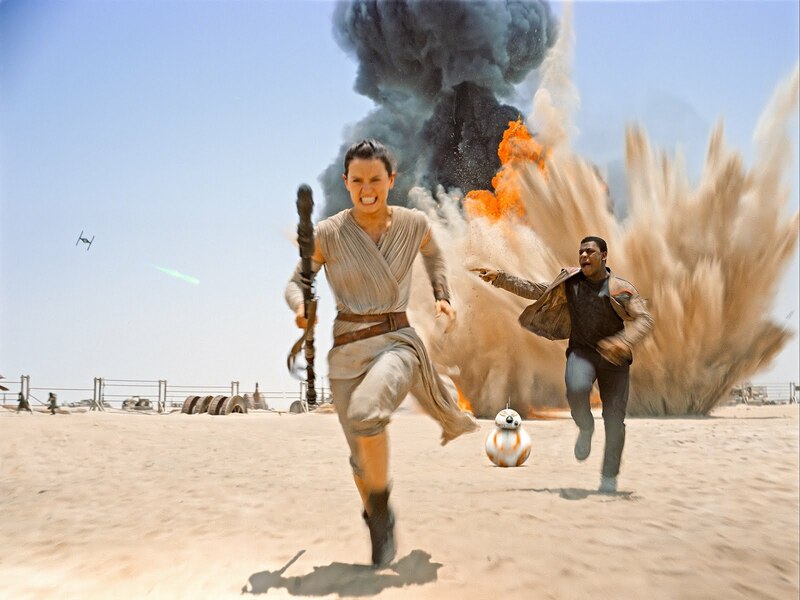 Rey was extremely powerful, as demonstrated by her adeptness in the Force. Remember that the Force is best used by the instinctual. “Feel. Don’t think. Use your instincts.” “Your eyes can deceive you. Don’t trust them.” “Let go your conscious self and act on instinct.” And Rey had apparently been living by her wits for some time now. She trusted her instincts, even if she hadn’t yet learned to completely control her fear. Once she did that, she was no longer on the defensive against Kylo, but pressing the attack. And, oh yeah, Finn is still a Force user. That should have been evident, but wasn’t to a lot of people. Kylo singling him out from the crowd of stormtroopers (not just his failure to shoot innocents.) His sympatico gunner/pilot relationship with Rey. His basic skills with a lightsaber. Clearly, he wasn’t on the level of Rey. But again, the Force is all about relying on your instincts. And Finn, being trained to think like a soldier, would have held his own well, but only for a time. Again with the revelations. First off, stop calling him Ren. Remember that weird moment when Obi-Wan said, “You’ll never win Darth”? Yeah, don’t do that. Ren is a title, like Darth. His proper chosen name would be Kylo. With that out of the way, there’s nothing surprising, or insulting, that Kylo is a Vader wannabe. That should have been evident from the second trailer. Even more so from the actual scene depicted in that trailer. Kylo wanted to be Vader. But uncertainty, fear and resentment were holding him back. He tried to blame it on Solo, or other things. But his failures were not just accidents of storytelling, but his character’s own fault. He’s SUPPOSED to be a Vader wannabe. And because he never can quite live up to that dubious legacy, he’s going to be much, much more dangerous to everyone around him. There’s no control there. And that’s what makes him scary. Again, not like Vader. And that’s totally intentional. @neiltyson @starwars Also, something has has gotta be powering all those blaster recharging stations, water reclamation, movie night, etc. @neiltyson @starwars Remember when Firefly tried to do those silent space sequences? Yeah, we’re good with that inaccuracy. @neiltyson Yeah, we caught that one, too. But we let ’em have it because it was funny. <smack> Shut up. Stormtroopers have never been clones in any movie or cartoon series. Clones are Clone Troopers. Not Stormtroopers. It’s in the name.